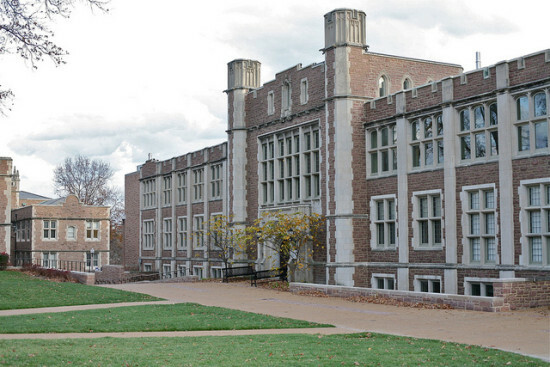 Washington University in St. Louis' Alberti Program for youth architecture has been given a major boost from the St. Louis–based design and planning firm PGAV Destinations in the form of a pledge of $125,000 and volunteer time. 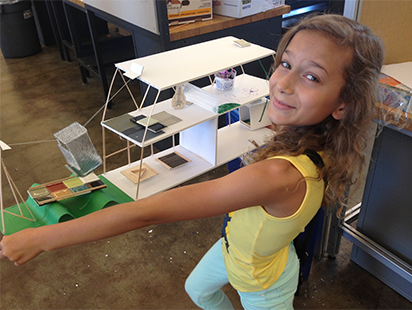 https://player.vimeo.com/106140248 The Alberti Program, started in 2006, is administered by the Sam Fox School’s College of Architecture and Graduate School of Architecture and Urban Design, and engages students in fourth through ninth grade from regional schools. With a focus on architectural problem solving and sustainability, the program’s goal is to reach the most diverse demographic of students possible. So far the program has worked with students from 145 elementary, middle, and high schools throughout the St. Louis area. Of those, one third of the schools are located in communities with per capita yearly income of less than $18,000. Free to participants, program runs on weekends throughout the academic year and on weekdays during a summer session. The contribution form PGAV will provide new resources to students, and insure the program can continue to operate at no cost to participants as it is distributed over the next five years. PGAV Destinations specializes in cultural and amusement design, with projects ranging from aquariums and museums to theme parks and casinos. The pledge from PGAV is part of the offices 50th anniversary, and will include dedicated volunteer time from the offices designers along with the monetary contribution. The volunteer time will include guest speaking, office visits to the firm's St. Louis headquarters, as well as classroom instruction. Along with general support for the program the $125,000 will help with costs associated with field trips, lecturers, and executing hands-on projects produced by the students. On a long-abandoned lot in St. Louis’ near north side, 10,000 sunflowers are sucking up the heavy metals that have helped stall development there for “longer than neighbors care to remember,” reported the St. Louis Post-Dispatch. The project is called Sunflower+. It's one of the winners of St. Louis' inaugural "Sustainable Land Lab" competition, which was organized by Washington University in St. Louis and city officials. Over the next two years, the design team will cultivate and harvest four rotations of summer sunflowers and winter wheat on the vacant lot, hopefully preparing it for redevelopment in the future. In a video produced for Washington University, members of the design team explained the environmental aim of this experiment in growing beauty from blight. “If we can clean up and/or enrich this soil to make its redevelopment at some point down the road easier to do, more cost efficient, more environmentally friendly,” said Richard Reilly, a project manager who works for the Missouri Botanical Garden, “then we’ll have some long-term results from our project.” Along with Don Koster of Washington University and a team of volunteers, Reilly successfully grew one crop rotation last year, and it's already bearing fruit: Alderman Lyda Krewson has already enlisted the team to replicate their project further down Delmar Boulevard. The winners of St. Louis’ first-ever “Sustainable Land Lab” competition, put on by Washington University and city officials, attempted to make the most of a regrettably abundant resource: vacant lots. Local architects took top honors in a competition that garnered some four dozen submissions. Each winner gets a two-year lease on a North St. Louis vacant lot and $5,000 in seed money to realize their ideas. Five winning projects will share four lots (two finalist teams combined their proposals into one new plan) across the city. 1. 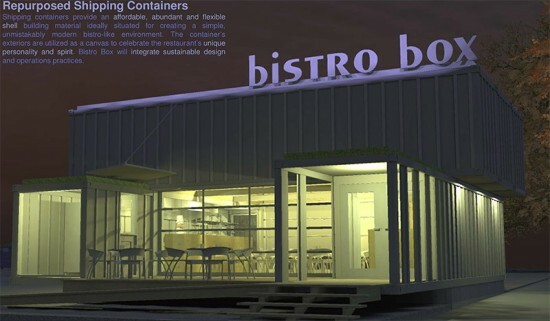 Bistro Box / Renewing Roots Urban Farm (now called Our Farm) — Repurposed shipping containers comprise a small, unpretentious restaurant attached to an urban farm. 2. Chess Pocket Park — Just what it sounds like. A small park meant to build community around outdoor chess tables. 3. Mighty Mississippians — A "modern agricultural model" would combine farming, recreation and environmental remediation in a permacultural park. 4.Sunflower+ Project — A test plot for environmental remediation via sunflower and winter wheat farming. The plants will be encouraged through electroculture, an experimental farming technique that uses electricity to encourage plant growth. St. Louis, like many cities pock-marked with vacant land, spends hundreds of thousands of dollars each year just mowing vacant parcels. The land lab competition follows other innovative design competitions, like Flint, Michigan's Flat Lot and the Cleveland Design Competition, that encourage adaptive reuse and creative public projects throughout the Midwest. A ground-breaking ceremony is scheduled for April 27. Udo Kultermann, who was born in Germany, died in New York City on February 9, 2013 at the age of 85. An internationally-known art historian, scholar, author, and lecturer, Kultermann spent nearly 30 years as a professor of art and architecture at Washington University in St. Louis. Prior to his work at Washington University, Kultermann, who received his Ph.D. from the University of Muenster, served as the director of the City Art Museum in Leverkusen, Germany. Kultermann wrote more than 35 books on a wide range of subjects, many of which have been translated into various languages. He also published numerous articles in scholarly journals world-wide. His book The History of Art History, is among his most original and cited works. Kultermann’s specialty was twentieth-century architecture, with a ground-breaking focus on Africa and the Middle East. His interests also included European art and architecture as well as contemporary American art. Recognizing their importance, Kultermann was one of the first art historians to write about female performance artists. 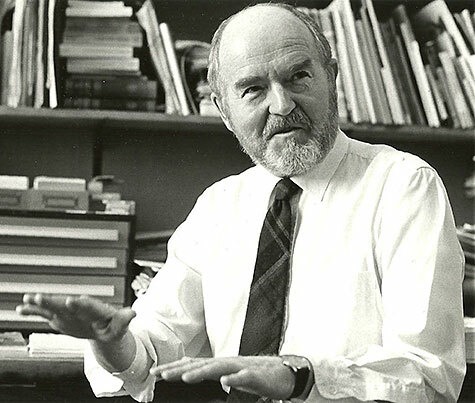 After retiring from Washington University, he and his wife, Judith Kultermann, moved to New York City, where she still resides. Editor's Note: This notice was prepared by the Kultermann family. A full remembrance will appear in an upcoming edition of AN. 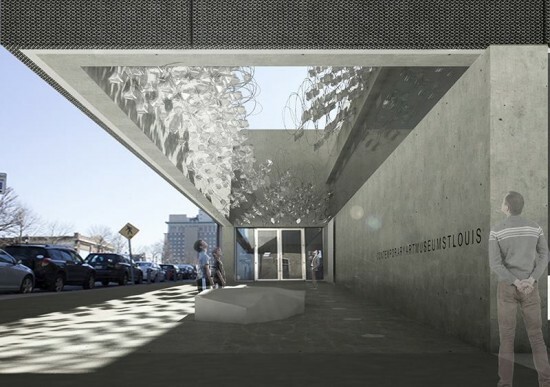 Canadian/Norwegian architect Jason Mrdeza has won Washington University in Saint Louis’ 2012 Steedman Fellowship in Architecture International Design Competition. 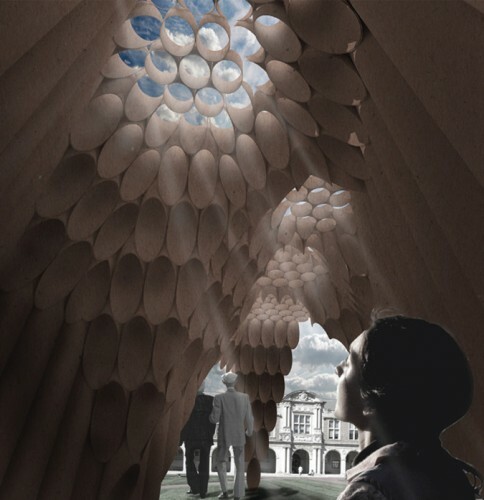 Sponsored by the College of Architecture and the Graduate School of Architecture & Urban Design at the Sam Fox School of Design & Visual Arts, the biennial competition is open to young architects from around the world within the first eight yeas of practice. 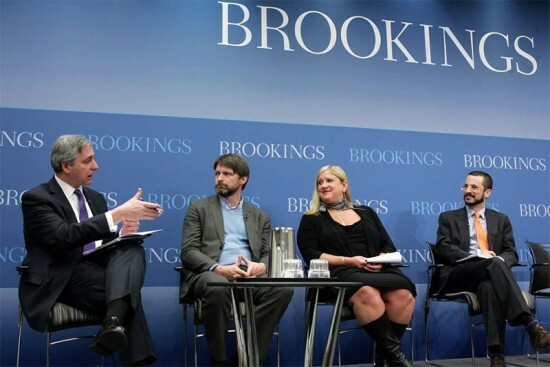 The winner receives a $50,000 prize, one of the largest competition prizes in the U.S., to support study and research abroad. Mrdeza’s winning project, “Mediating Adjacencies: Inspiring Collaboration within Context,” was chosen out of 120 entrees. 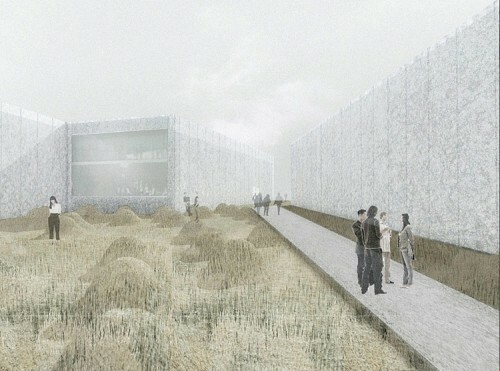 Craig Dykers, principal at Snøhetta, created the 2012 competition program calling for a new net-zero facility that would house and stimulate interdisciplinary cooperation between the Sam Fox School’s art, architecture, and design graduate programs while integrating five existing buildings. Dykers served as jury chair for the competition, alongside Susannah Drake, principle at dlandstudio, and Sarah Dunn and Martin Felsen, principals at UrbanLab. 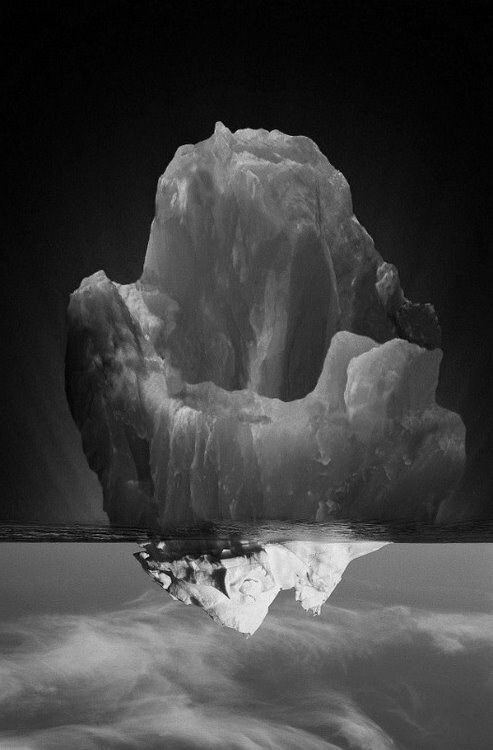 Mrdeza’s winning design works to strengthen interdisciplinary connections within the school and university at large while highlighting the divisions between public and private functions. Classrooms, galleries, and other public and semi-public spaces are located on the lower level of a large, three-story structure. A public pathway cuts through the arrangement, utilizing the site's gentle slope to draw in visitors while the building's transparency allows onlookers to passively engage in the activities happening inside the design schools. This first-floor, dubbed the “mound,” would be topped with an active green roof, and upper levels would be contained within five large “lantern blocks.” These structures, clad in luminescent PVC panels and set at slight angels from one another, would each correspond to a different discipline and contain offices and studio space for their respective programs. “The project negotiates the need for internal reflection while catalyzing meetings between disciplines and individuals,” wrote Mrdeza in his proposal. “Divisions between public and private are retained without hindering interdisciplinary and exta-institutional collaboration.” Mrdeza will use his award to study connections between landscape, architecture, and sustainability while traveling to Japan and other sites in Asia, the Middle East, the Mediterranean, and South America. Ten Sukkahs—small temporary structures built for the Jewish festival of Sukkot—will be on display at Washington University in St. Louis. The ten winning projects, by architects and designers from across the country, were chosen out of a group of 40 competition entries. Sukkot recognizes the struggle of the Israelites' exodus from Egypt, and Sukkahs recall the fragile structures they inhabited. Emery McClure Architectre of Lafayette, LA, Act3, Trivers Architecture, and STL Beacon of St. Louis, Filip Tejchman of Brooklyn, NY, Sean Corriel of New York, Lea Oxenhandler and Evan Maxwell Litvin of Philadelphia, Alexander Morley and Jennifer Wong of St. Louis, Casey Hughes Architects of Los Angeles, Christine Yogiaman of St. Louis, John Kleinschmidt and Andy Sternad of New Orleans, Bronwyn Charlton and Linda Levin of St. Louis. 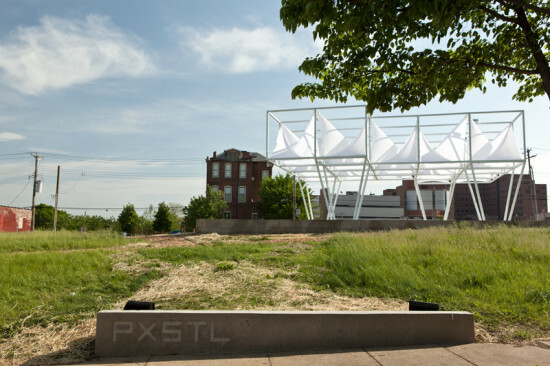 The Sukkah STL structures will be on view October 18-22. 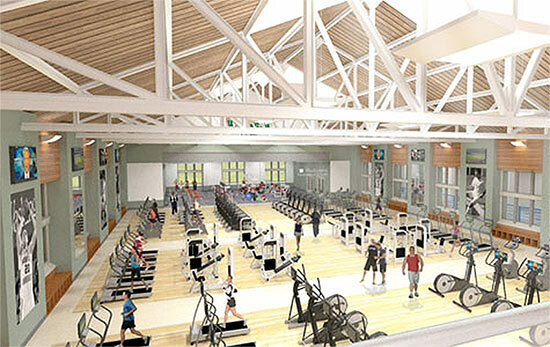 Jurors included architects Mitchell Joachim and Carol Ross Barney, critic Christopher Hawthorne, Bruce Lindsey, dean of architecture at the Sam Fox School of Design at Washington University, Rabbi Hyim Shafner, and Nancy Berg, a professor of Hebrew language and literature.